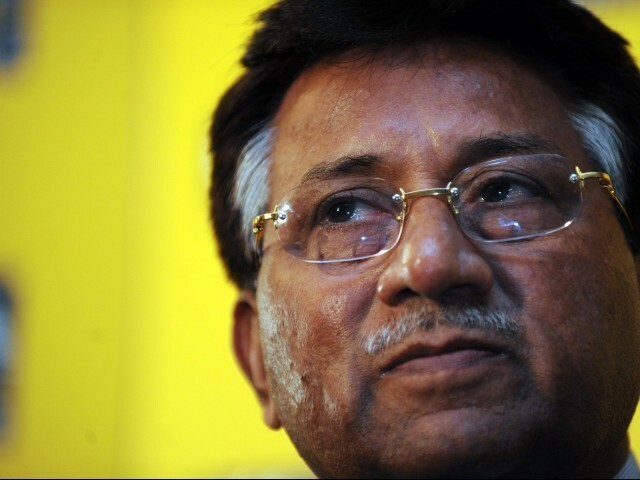 Pervez Musharraf recently announced his intention to return to Pakistan and actively take part in politics. He still seems to enjoy strong support among the Pakistani elite and urban middle class, business community and some political stakeholders. There are expectations that he will bring back the policies of his era which will lead to peace and economic prosperity. The following is intended as an analysis of his policies and reforms and the regions they benefited most. Pakistan’s significant economic gains since 2002, which the Musharraf government takes credit for, were due to the impact of international post 9/11 developments. After 9/11, Pakistan was granted a rare debt reschedule treatment by the Paris Club Donors. In December 2001, a total of $12.5 billion of debt was rescheduled (Economic Survey 2001-2002). Yet, recent State Bank reports show that by 2008, Pakistan’s total debt and liabilities increased substantially. During Musharraf’s era, the economic situation only appeared to be improving because of favourable terms granted to Pakistan in the light of 9/11. These consisted of export incentives, like greater market access to the EU, debt rescheduling, and one-time incentives like U.S. grants and Saudi investments. Thus, the temporary relief was due to external factors that the Musharraf government knew would not exist in future years. The growth of foreign remittances was also not great. It was due to the international crackdown on the Hawala network in the wake of 9/11, which resulted in direct transfers to Pakistan instead of rerouting from Dubai. By 2008, the economic situation had worsened, implying that even with all the favourable terms Pakistan had received after 9/11, the Musharraf government did not use any of these opportunities to reform economic policy to ensure long term sustainability. In 2002, the Musharraf government abolished wealth tax, which had been in effect since 1966 and was payable on assets which were not subjected to Zakat deduction. It was a tax act designed to tax the richest and hence was capable of bringing in considerable revenue, which could have been used towards disaster relief. In 2001, on the orders of General Musharraf, military pensions were separated from the defence budget and allocated to the civilian budget, which then resulted in a decrease in overall defence spending. This pension bill has increased from Rs 26 billion in 2001 to 72 billion in 2010. It is, after all, politically advantageous for a military ruler to show a decline in defence spending. In 1999, Pakistan had surplus electricity. At the time, the economic growth rate was 2 per cent. When growth picked up in 2003, plans should have been put in place by the Musharraf government to provide electricity to a larger and rapidly expanding economy. But by 2005, there was a shortfall of electricity which has continued until today. Pakistan has always had electricity problems and Musharraf’s government is just as responsible for neglecting this issue as previous governments. The present security situation in Pakistan’s cities is worse than two years ago when Musharraf resigned. But things have changed in the past two years; the US’s focus has shifted from Iraq to Afghanistan. If Musharraf came to power today, he would be forced to take the same course of action as the current government. In 2008, the US’s priority was Iraq. Pakistan was strategically indispensible as the U.S. was measuring its success by the number of al Qaeda operatives caught by Pakistan. Musharraf was able to sign peace agreements with the Taliban at the cost of the locals in Fata and Waziristan, who the Taliban would rule. Today, a number of major military operations have taken place, which is the main cause of retaliatory attacks in Pakistani cities. The urban population is suffering from a situation similar to what locals in the northern areas suffered when the Musharraf government signed the so-called peace agreement. Ties with India have also followed a similar pattern. After 9/11, due to military engagements in Afghanistan, the US forced Musharraf’s government to allocate its military resources from the Indian front to the Afghanistan borders. Under US pressure, Musharraf had no choice but to normalise relations with India. Musharraf has also now taken the traditional political approach of accusing India of supporting the insurgency in Balochistan. In fact, his policies played a major role in creating instability in Balochistan. But he insists on championing the absurd theory that India is operating over 20 embassies in Afghanistan and uses them to destabilise the Baluchistan region, when in fact India operates the same number of embassies as Pakistan: five. After 9/11, it became politically beneficial for Musharraf to allow the media some freedom. It was a way to show the world that Pakistan is one step closer to modernising and it certainly did impress the Western world. It is clear, however, that free speech was not part of Musharraf’s ideology, since it was only after 9/11 that he adopted this policy. Musharraf’s claims that he can bring economic prosperity and peace to Pakistan are nothing short of politicking. Thus far, the analysis shows that Musharraf, like any other politician in Pakistan, took most initiatives either under foreign pressure, or for political gain. Before 9/11, Pakistan was going to default on its debt and was about to be declared a pariah state. The events of 9/11, as horrible as they were, turned out to favourable for Pakistan. Whether it was accommodative economic incentives or geopolitical concessions, Musharraf was smart enough to use it for his own gain but was no less shrewd than his predecessors. In the current environment, his policies would be unsustainable, as the US is heavily engaged in Afghanistan, so no peace agreements can bring about relief. Similarly, the current economic situation is also different; none of Musharraf’s policies are sustainable, as excessive spending and a lack of infrastructural investment during his era have worsened past problems. Good on your to list the reasoning behind his achievements during the tenure. That makes him actually, a very lucky person for Pakistan. It is important to note that crude oil prices in 2008 doubled http://www.ioga.com/Special/crudeoil_Hist.htm, and in 2007 the Chief Justice plus the opposition vs the Government and the coalition had already started. Things were bound to go down. Then in 2008 Ishaq Dar helped the PPP government by announcing a fake audit report which prompted the outflow of reserves. Musharraf was so brave that he overthrew a government, started misadventure in Kargil, broke constitution twice, jailed judges, killed bugti, humiliated MAIN political leaders when they tried to come back to Pakistan BUT was so scared of Kalabagh dam. ‘Politicians don’t agree’ was his logic. Well, who did you ask to do all the above adventures? Musharraf gave 8 crore mobiles (rise of consumerism) to Pakistanis and none of them were produced in Pakistan, giving rise to trade deficit. Sales (on bank loans) of fridges jumed from 35 thousand to 7 Lakh in Mush’s time. While electricity remained the same. Mush claims in his Facebook page video that in 1999 there was 1500 MW surplus electricity that is why he didn’t produce anything. He claims that current Rental power plants were negotiated by his government (now you know who to blame for these expensive deals). You should explain the rest too. There wouldn’t be a greater supporter of APML than yourself. Poor thinking. i will say the same line that Mr Musharraf uses to say ” such bolna seekho” , its really pathetic to fool our public. and blogger and writers should keep this thing in minde. Request to all Media persons plz be indifferent not promote anyone’s agenda. What I love is how media and journalist pretend as if we have such abundance of great honest and dedicated leaders and that when compared with musharraf, the latter looks like the devil!. Wake up you fools!! Zardari is our bloody president! Biased media channels (Geo) and writers will destroy this country. The author has focused on Musharaf’s claim to have benefited Pakistan’s economy, though he has also touched upon other aspects, and has accurately highlighted the flaws of his claim. However, his culpability in other matters is far greater. The current growth in terrorism is his legacy. In 2007 Swat was almost retaken by security forces and Fazlullah was surrounded, when he, inexplicably, terminated the operation and reneged on his assurance that a permanent military presence in Swat would be established. Fazlullah returned, more powerful than before and avenged himself against all those who opposed him. His shameless induction of serving and retired military officers in every conceivable governmental organisation sullied the military’s image. Never before was the institution of the army as disliked, even despised, as during his time. He even destroyed the morale of the soldier as it had never been done before. Have we forgotten how hundreds of soldiers were surrendering to a handful of Taliban, without putting up even a vestige of resistance? But, most of all, he has to answer for the Lal Masjid episode. Beleaguered by a self-created Judicial crisis, he deliberately permitted the build up of militants in the heart of Islamabad, to impress upon the international community that he was the last bastion standing between Islamabad and its occupation by Islamic militants, resulting in the death of many children. I would love to see him return and face criminal proceeding just for that one act alone. Does this newspaper have no editors? A nation can only have one embassy. All other diplomatic posts are referred to as consulates. agree on the point on Balochistan. Other points are like “main na manoo”. You try to prove that musheraf was 100 % bad… its not so, he done good jobs in econonmy and espicaly in eduation and media sector. Bohaatttt alaaa….!!! You know the classic bit about your article is, you do the step #1 for Musharraf supporters. That is, you ADMIT there was prosperity!!! Now coming to your points, much of what you have written is simply to find one excuse or another to take credit away from Musharraf. No doubt, some points you raise are valid too – for instance, their assumption for growth in demand of power was way off, but Pakistanis were consuming energy/power faster than ever (sounds like industrial growth and prosperity to me?)! The height of media being biased is geo editing musharraf speech..
And then the anchors commenting on the edited part of the speech..
1. Does the army want Musharraf back ? 2. Does the U.S of A want Musharraf back ? Do they trust him ? Firstly, yes, like someone commented above. Don’t call this analysis! This is your effort to undermine, twist and misrepresent facts. After 9/11, Pakistan was granted a rare debt reschedule treatment by the Paris Club Donors. After 9/11, Musharraf clinched a rare debt rescheduling by the Paris Club Donors. The Paris Club had no obligation to help Pakistan. In fact, the permanent members of Paris Club do not have a single Muslim country, neither any of our “relatively sincere” allies like China or Turkey. …recent State Bank reports show that by 2008, Pakistan’s total debt and liabilities increased substantially. …Pakistan’s total debt and liabilities as % of GDP decreased progressively. Also, the current account deficit until 2006/07 plus short-term foreign currency debt-servicing was well within the foreign reserves and other inflows. In 2008, all hell had broken loose. NYMEX crude futures even traded at US$140+. Given the % of crude oil in our total import bill, run on reserves was inevitable. Numerous developing countries stumbled into a balance of payment crises. Pakistan suffered even more because of the political transition it was going through during much of 2007/08. During Musharraf’s era, the economic situation only appeared to be improving because of favourable terms granted to Pakistan. Musharraf’s team clinched favourable terms of trade amid a challenging post-WTO scenario. The access to western markets was ever greater, which was clearly reflected in breadth and depth of exports receipts. It is worth looking at how rapidly textile industry grew between 2002/03 and 2006/07, a value chain which provides food for a huge Pakistani population. Beyond 2006/07, the major markets were in crisis. All export-oriented economies faced lower orders, surplus capacity, increased unemployment. The sheer influx of foreign remittances was clearly visible from real estate boom, which did not just take place in large cities but smaller towns as well. Influx of money was redirected through the banking system which had multiple advantages. For one, any form of capital inflows through banking system give central bank greater visibility into money supply and inflationary pressures, and hence better policy-making. In 2002, the Musharraf government abolished wealth tax, which had been in effect since 1966 and was payable on assets which were not subjected to Zakat deduction. If there is one thing, every developing country is hungry of, is capital. You can only incentivize investment into the country, and can not force anyone to bring in their monies. Tax cuts, are the best way of attracting money from foreigners and retain capital of locals from flying out. Dubai is your biggest example how foreign capital can turn a desert into a bustling urban centre within a couple of decades. If Pakistanis have grievances of legal / constitutional / political nature, that’s a separate thing and THEY ARE RIGHT in voicing their concerns. But, what Pakistan’s economy earned during his regime, is real and undeniable. You can choose not to give credit to Musharraf. Reality won’t change though. Under Musharraf, people like Ishrat Hussain and Salman Shah came to the fore and provided policies, which were not perfect but successful. I say, just ignore everything! The very fact that Pakistan’s credit rating was upgraded multiple times to a point where we found the right pricing to float a bond to international investors is like coming a long long way forward as an economy. Every year, foreign investors jumped in to invest in Pakistan e.g. Singtel investment into Warid telecom, Standard Chartered’s acquisition of Union bank, entry of MNCs like Telenor, ENI, Barclays etc. For about half a decade….. Pakistan did stride forward phenomenally. Either you can appreciate the bigger picture with constructive criticism over some of the questionable economic policies. Or, simply be dishonest with Pakistanis and go down the road of deceit and misrepresentation by thrusting your own agenda. can you plz explain which side it is protecting? [Article 244] In the name of Allah, the most Beneficent, the most Merciful. I, ____, do solemnly swear that I will bear true faith and allegiance to Pakistan and uphold the Constitution of the Islamic Republic of Pakistan which embodies the will of the people, that I will not engage myself in any political activities whatsoever and that I will honestly and faithfully serve Pakistan in the Pakistan Army (or Navy or Air Force) as required by and under the law. May Allah Almighty help and guide me (A’meen). When YOU take the oath to UPHOLD THE CONSTITUTION and then YOU ABROGATE IT, then YOU are responsible for the act that constitutes TREASON. This man needs to be put to trial for treason. That is what needs to happen upon his return. And for those who may talk about corrupt politians, i say yes, all accountability needs to be transparent. And for those who may talk of others who have implemented martial laws, i say yes, do it, but precedent has to be set somewhere. Insightful piece Anas Abbas and brilliantly written and I am extremely happy that you didn’t came up with the age old argument’s of, Afia Siddiqui, Lawyer’s Movement mess etc against Mushraff. History will judge former President Mushraff unfortunately as a ‘man who destroyed the vary fabrication of Pakistani society’ by his black deeds as opposed to anything else. Well Anas Abbas–you simply gave a one sided picture of his tenure.and I said proJecting not proTecting. True he did great blunders.NRO was the most shameful of that undoubtedly. Am certainly not here to favour him–which certainly I don’t,. And as a conscientious voter I reserve my right to not anyone know who do I vote for in the next elections.In fact maybe I may not have the ideal candidate who I will whole heartedly support, but then I will have to choose the better from amongst the available ones. My only stance here is that why are all his opponents so paranoid of his return and as a result keep writing thesis after thesis on his failures or mistakes. Like when everyone welcomed Nawaz or Benazir to come for elections( despite their black deeds of the past)–he too has the right to come and try his chances in the next general elections .Why is his failure been unilaterally narrated article after article and no one comes up with what the other two parties on the ground are performing. We will have more evils to choose from at least. Angels are not going to descend from the heavens to contest next elections.If he doesn’t deserve to win–the electorate will wipe him out thro voting. As simple as that. Well said mate……I totally agree with you. The only thing anti-Musharraf supporters are doing is playing with words and jiggling them to make it look bad for Musharraf. I have never seen so much support for any leader from the people and youth. So many people are now openly speaking in support of Musharraf both domestics and in international media. Inshallah, he will be back soon. 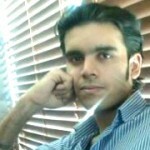 @Azar Abbas: You da man! Brother, I am not a supporter of APML or any other party and am just a non-aligned, working Pakistani who’s struggling to lead a respectable life here in Pakistan. I only wish for a day when I can tell people of my family who are living abroad that It’s a pity they’re living as a second-class citizen in some other country when they can have all or at least half of what they’re getting their by coming back to Pakistan. The point I’m trying to make is (apparently) we had finally found a leader who could probably turn that dream of mine into reality. And if you want that leader to face a trial for an action that actually helped Pakistan then I believe you should first see a doctor since the choices we are then left with are much worse. I don’t have to blabber about Zardari Sb’s karnamay or Nawaz Sharif’s standing among the International leadership (except for the Saudis since they take care of their fellow businessmen/taliban sympathisers). And seriously, don’t call your piece an analysis till you have completely read some five thousand books more than twice so you can come up with some concrete facts.I know Google helps but not all the time. God give us strength to rehabilitate the millions of flood victims so we can save a few from bombing themselves for some bucks or hoors. @ Mr. Azhar Abbas’s sub article. One can have different interpretations to the same thing, and you very rightly have pointed that out. I ask you something, did the constitution allow Musharraf to respond with a military takeover when constitutionally the PM had the power to sack the COAS? Secondly, he brings in his new PM by getting him elected from a place which most probably Shaukat Aziz hadn’t even visited before in his life. Thirdly, what credibility does he have? I AM A BRAVE SOLDIER OF PAKISTAN ARMY (and yet he hasn’t visited Pakistan in 2.5 yrs). I do not support other leaders, but he has done the exact same thing as Sharif brothers, in fact he went a step ahead by giving us PPP as the ruling party due to which we suffer till date. I do not support individuals, but I do support democracy and believe that its a self correcting system. 33 yrs of Pakistani history has been Military rule, where its a one man show. Let the people decide who they want and lets stop assuming that people want US (Mushy). He should be trialed for anything and everything he has done and so should the others. Someone wrote that the youth is in favor of Mushy, trust me, our youth is easily influenced esp. by spoken English and a few harsh words for the enemy (where Musharraf does take the cake), they don’t have do not have the time or ability to look beyond that. Thank the lord finally for some sort of sense going into a reply. I was going to point that out but fortunately I do see a few, actually just a couple of sensible people in a forum which by no means is a surprise considering how illiterate and hate motivated our masses are. Like I said, to me it’s about calling spade a spade. You raise a valid point against Musharraf, that’s one thing. You spill absolute drivel which is factually incorrect, I AM going to write a “sub-article” to prevent misrepresentation from further maligning the image of an ex-leader who I think is lesser of the evils. Pakistan did well, “economically”, and credit to him and his administration. Period. 1) Trial of Nawaz Sharif for endorsing genocide of MQM workers using Pakistan army. There was no Jinnahpur to be made. 2) Trial of Nawaz Sharif, again, for launching attack on the Supreme Court on Pakistan. 3) A complete tax and wealth inquiry to be launched against Zardari. His net worth statement presented on television. Followed by charges of evasion / corruption. 4) Trial of Iftikhar Muhammad Chaudhry for legitimizing then General Musharraf after he launched coup. 5) Trial of General Musharraf for sacking and putting judiciary under house arrest. Pakistan had surplus electricity in 1999 ?!?!?! It was only under Musharraf Rules that people started paying taxes more responsibility.though wealth tax was abolished but Tax Collection was sky rocketed. It was under Musharraf rule who initiated farmers friendly projects.like ‘Bhal safai’ gave loans to farmers through ‘khushali bank(which also supported other cottage industry to support poor families).Increase in wheat support price and things like theses. Musharraf also faced sanctions due to army take over and due to nuclear tests.After 9/11 many big investors left pakistan thinking the war will within pakistan’s soil in no time.Musharraf policies coped with that brought back record investment. in 2003 2004 there was drought in many sindh and balochistan areas.He coped with that.not to mention 2005 earthquake. Under musharraf debts did increased by factor of couple billion but those debts were of lenient nature like they had low intrest rates. Big projects like Gwadar port,coastal highwahy,gomal zam dam.3 other motorways were completed. Haha… relax relax… sub sub Altaf Hussain, Chaudhry brothers, Maula Fazloo, anyone and everyone should be tried for the tons of charges they have. I just named the “most prominent” characters. There are too many of them in Pakistan. @ Azar…..what a noble idea, why didnt mushrraf try all these people why did he make an alliance with the Maulana, Altaf Hussain and the chaudharys why did he let Nawaz go if he was convicted of corruption, why did he spend Rs 2 billion of public money on the swiss cases only to give the NRO!!!!!!! He was the only person who had risen from a middle class unlike all his predecessors.Majority can hate him because majority is illiterate.It is majority that gives power to feudals and criminals and then cries about it.Atleast he was the best of the worst lot we have! @Azhar, dude you miss out the point here. I do not support individuals, I support democracy. I am not for PPP or PML-N, etc, I believe that the last election proves that people today are better informed and might be voting for issues as well. PML-Q disappeared from the scene, I take it as a positive sign of democracy. Coming back to Mr. Musharraf, somebody very rightly stated in one of the responses above that those figures which are quoted again and again were a result of the strategic location of this country on the map and if Mushy wants to thank anybody, he should be thanking Osama Bin Laden for 9/11 (if it was him). Musharraf is he had trialed Bugti and sentenced got him sentenced to death Balochistan would have been this bad today, Kargil was a stupidity, I suggest you ask someone who was there at that time, he will tell you the actual collateral damage for that plus it was done in an illegal manner as well. As for your chronological order, dude I say go for it, I don’t care who did what and how, he/she should face the consequences of their wrong doings. @ Ms. Amina Kalimuddin, if such is the case, look at the domestic instability at the time of Mushy and Zia, thanks to Mushy MQM is in power today and the bugger (Altaf Hussain) sitting in the Uk is singing songs on TV, thanks to Mushy that Balochistan stopped singing National Anthem of Pakistan and last but not the least thank Mr. Zia for everything he did. Idiots look at things other than economic growth as well, which so called “sensible” people like you don’t. Problem with people like you is that you read figures published by XYZ, and start off without knowing what the actual issues are and there should be a system running the people and not the people running the system. Military is the servant of the country, I will never allow my guard to become the master of the house. I pay him to protect me from external forces, period. Please do give your guard a chance to run your house, maybe he does a better job than you.